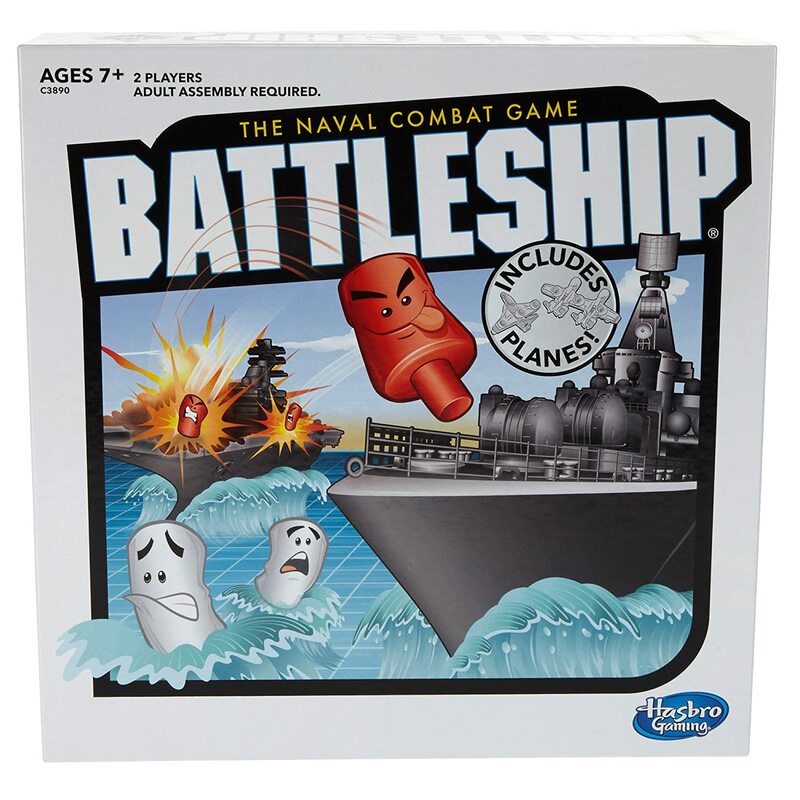 Take on your friends in head-to-head battles in the exciting naval combat game of Battleship! Search for your enemy's ships on the high seas and eliminate them one by one. Do it fast, because they'll be trying to destroy your fleet at the same time! 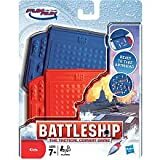 The game's realistic naval crafts put you at the center of some seriously realistic action, and the convenient portable battle cases let you battle on the go. Launch one attack at a time or use the Battleship Salvo feature to make multiple strikes on your turn! 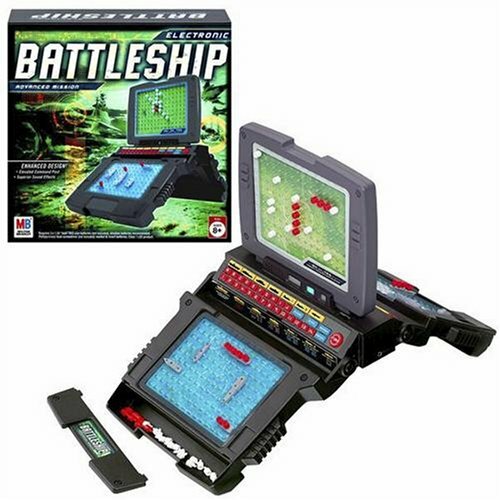 Battleship is the classic game of combat that brings together competition, strategy, and excitement! In head-to-head battle, players search for the enemy’s fleet and destroys them one by one. This edition of Battleship comes with 2 planes for exciting aircraft combat. With convenient portable battle cases and realistic looking naval crafts and planes, Battleship game puts players right in the middle of the action. 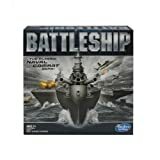 Players command a powerful fleet that includes an aircraft carrier, a destroyer, a submarine, a patrol boat, plane and a battleship. Each player announces the coordinates of each strike, and sees if it hits. Position ships strategically to survive opponent's relentless strikes, and track hits and misses with red and white pegs on the ocean grid. No ship or aircraft is safe in this game of stealth and suspense. It’s a battle that you must win! 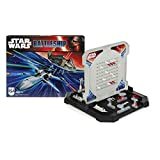 In this classic game of Battleship with a Star Wars twist, players choose a fleet of vehicles including some from the movie Star Wars: The Force Awakens. The excitement keeps growing as players command their fleets of starships while avoiding enemy attacks. 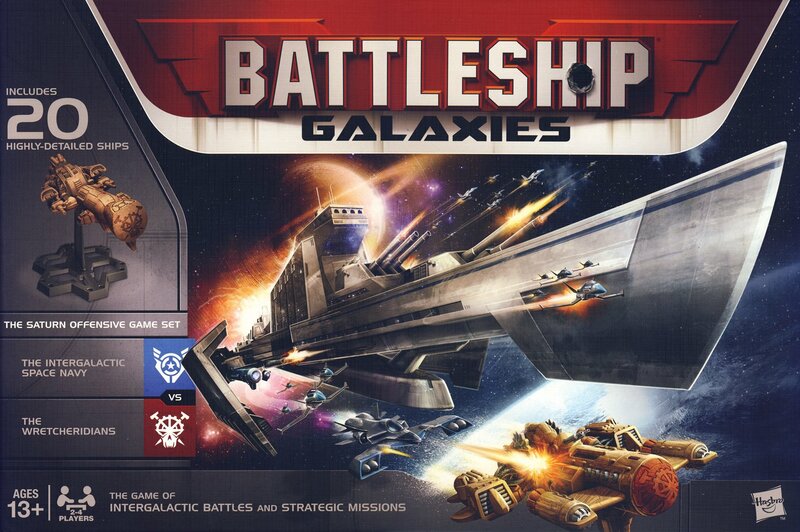 In this game of strategy, players attempt to hunt down and destroy their opponent's ships while simultaneously hiding and protecting their own. 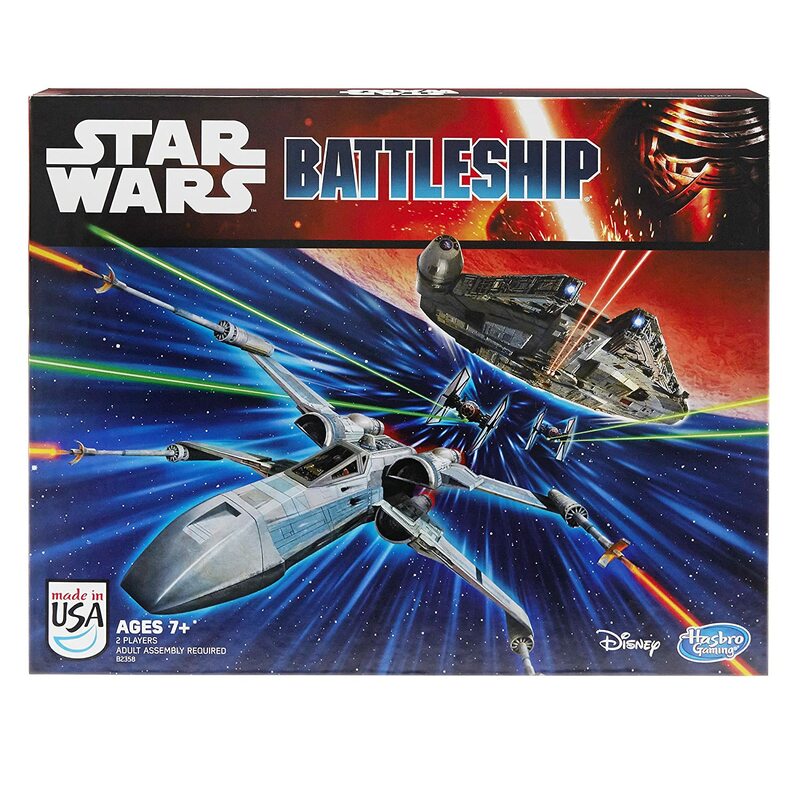 The Battleship: Star Wars Edition game can be played almost anywhere. The game’s grid base and target grid converts to neatly hold all the game pieces for on-the-go-fun. The Saturn Offensive. When Saturn’s mining settlement is attacked by warmongering aliens known as The Wretcheridians, the newly-commissioned First Fleet of the Intergalactic Space Navy races back from the edges of the solar system to mount a fierce defense against the invaders. Outgunned and outnumbered, the brave young ISN officers strategically drive the battle deep into the rings of Saturn to begin a deadly game of seek and destroy. Command the ISN fleet and defend the settlement. Or lead the attack as the commander of the ruthless Wretcheridian invaders. Go live! In this fun version of the classic Battleship game, the electronic talking tower calls the plays! With motion sensing, sound effects and even surprise game-changing events, the tower guides the game from start to finish while you plot your strategy and command your ships. Launch the spy plane to spot your enemy and use your ship’s special powers to sweep for mines, launch air attacks, fire missiles and more. With so many things to do, this “naval battle” is more thrilling than ever! 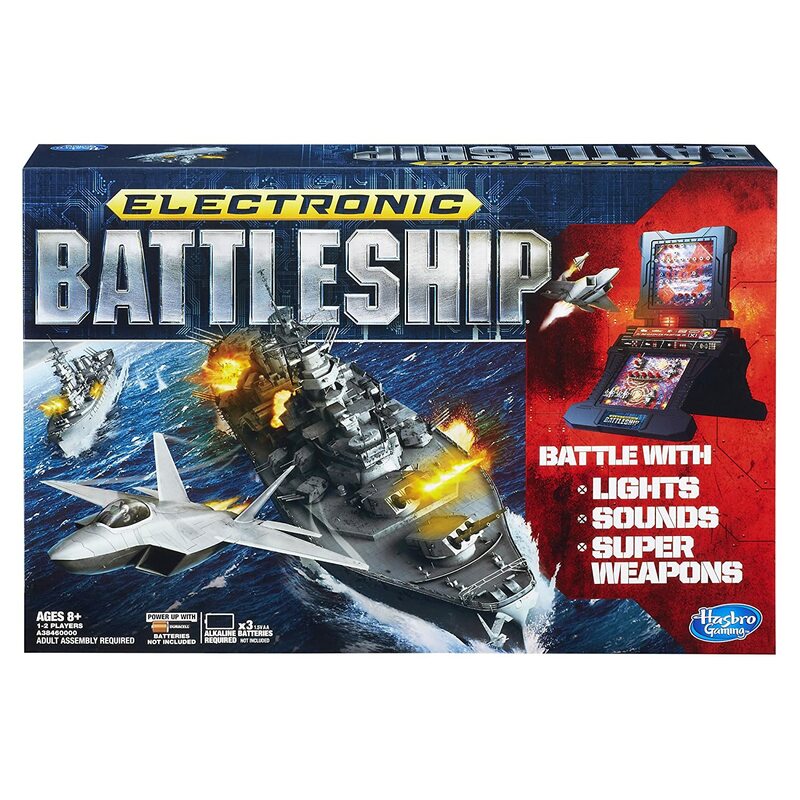 The Electronic Battleship Advanced Mission game by Hasbro features a breakthrough laptop design that brings this classic naval combat game to eye level for greater command of the fleet. Sinking your opponent's ships is even more exciting with improved sound and commands that immerse you in each strategic battle. When you're done playing, the unit folds up for quick and easy storage. 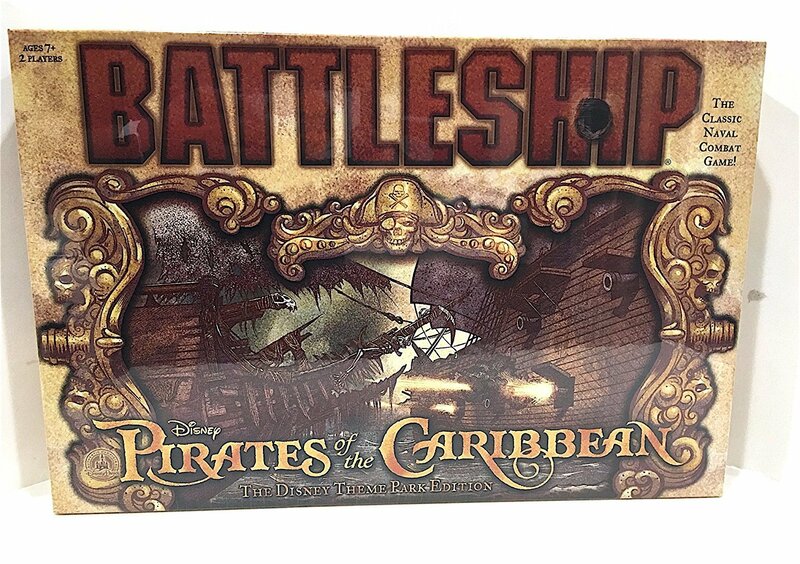 Lead your fleet to victory on the move with this compact Battleship Grab & Go game! Can you sink your opponent's ships before all of yours go down? 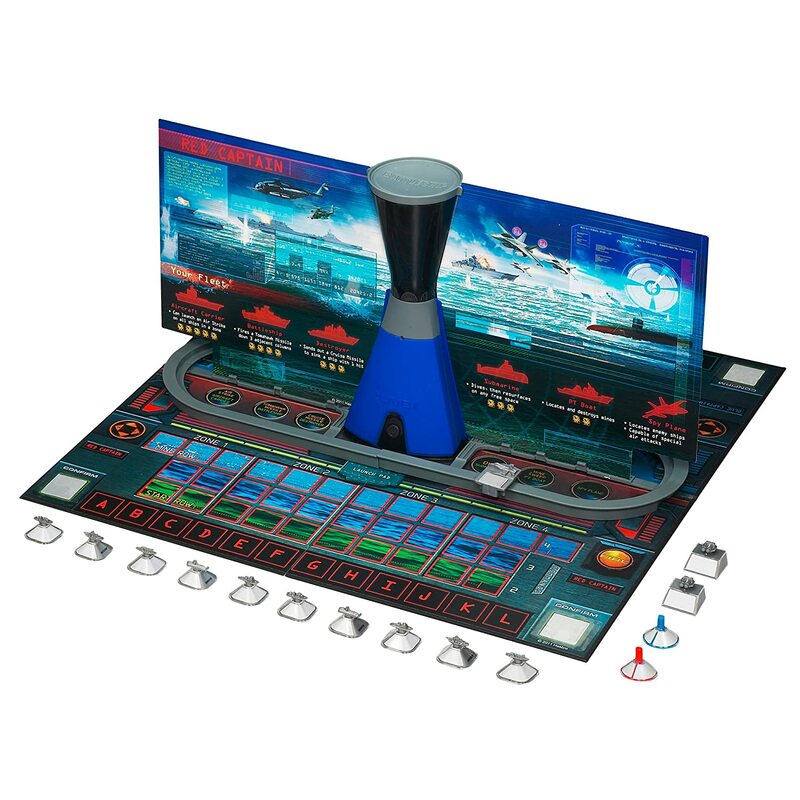 Command your battle from the flip-open game unit and deploy your carrier, battleship, submarine, destroyer and cruiser on the ocean grid. When the battle is over, you can store the pegs in the units and slide them together for easy storage. 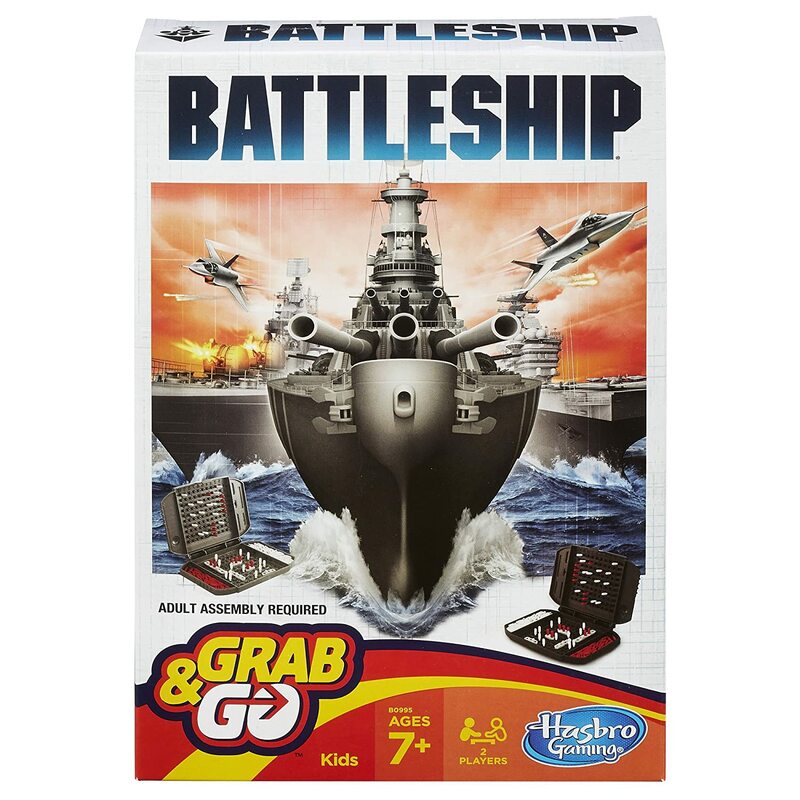 You'll rule the oceans when you Grab & Go with Battleship! Yahtzee and all related characters are trademarks of Hasbro.